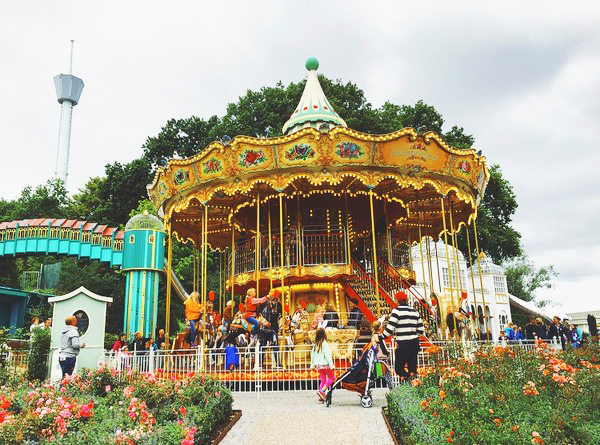 Liseberg is an amusement park that I really loved as a child, and I still go every summer. 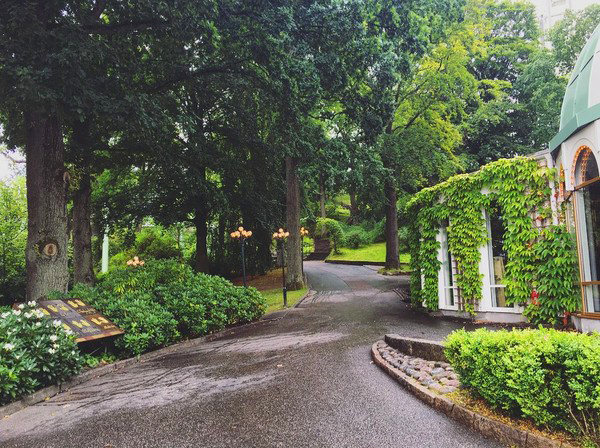 The park has been open since 1923 and is located below and on top of a hill in Gothenburg, Sweden. The park's main attractions are rollercoasters (such as Helix, Balder and Kanonen) and entertainment (concerts and theater). The official mascot of the park is a green bunny called Lisebergskaninen ("The Liseberg Bunny") and now the park has many different bunny characters who live in a house in Kaninlandet ("The Bunny Land"). As I'm writing this, it has been raining for two weeks here in Gothenburg, and yesterday we decided to head to the park as it was supposed the be the only day without any rain. The joke was on us, however, because it rained on and off all day! Despite this we got to go on all the rides and we had a really good time. At the park entrance you can buy an all-in-one kit (admission and a pass) for 440kr. With the pass you can go on an unlimited amount of rides through out the day. If you buy the same kit online you can get an express pass for the same price, giving you access to the express line of three different attractions of your choosing. The only attraction not included in the pass is Spökhotellet Gasten (the haunted house) which you have to purchase a specific ticket for, which cost 40kr if you have a pass and 60kr without. If you want to buy tickets instead of a pass you should know that one ride on one of the bigger rollercoasters cost 4 tickets, and one ticket cost 20kr. This means that in order to ride one rollercoaster you will have to pay 80kr(!) which is kind of expensive for one ride. However, the smaller rides usually cost fewer tickets, so if rollercoasters isn't your thing buying tickets instead of a pass could be worth it (if you only go once or twice). Check out Liseberg's official webpage to learn more about how many tickets you need for each attraction. We decided to start our day at the park with a waffle breakfast at Systrarna Olssons Våffelbageri ("The Olsson Sisters Waffle Bakery"). 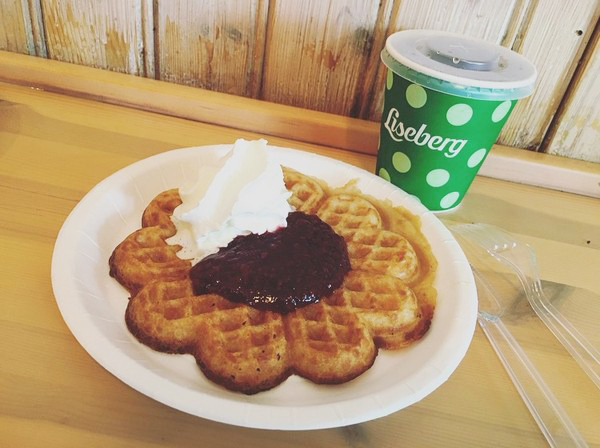 A waffle with jam and whipped cream cost 39kr and it was really good! Despite the long line, we only had to wait a couple of seconds before receiving our freshly baked waffles, which was good because we were really hungry! On the same street as the waffle bakery you can explore a number of tiny shops where you can buy park souvenirs and Swedish candy. If you're not from Sweden I recommend that you try the Swedish polkagris from Gränna, which is a swedish candy cane that traditionally come in red and white, but also many other colors and flavors. 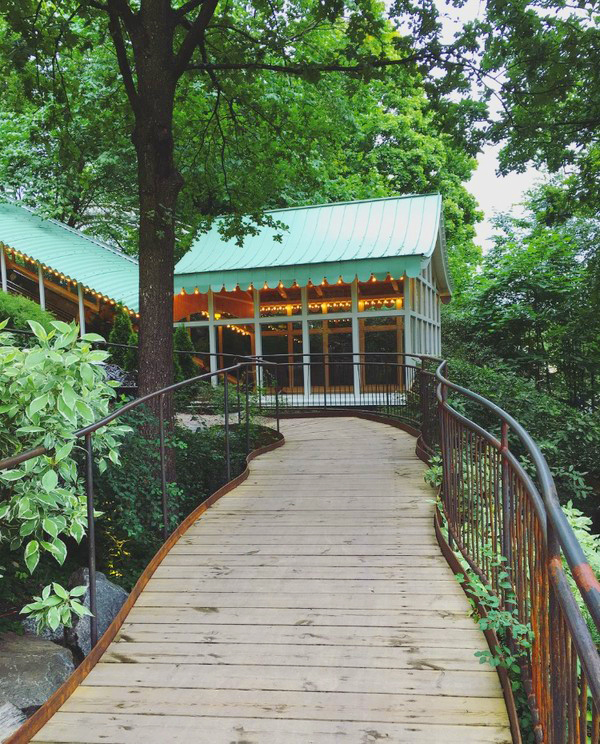 Liseberg usually announce a new attraction every year and this year they not only announced a new attraction but also a huge, new garden area you can explore going up the hill. At the top of the hill there is a new playground located in a beautiful, victorian garden called Barnens Paradis ("The Children's Paradise") that is free and a great place for a picnic. If you want to explore a more colorful playground I recommend Kaninlandet ("The Bunny Land") below the hill by the main entrance. 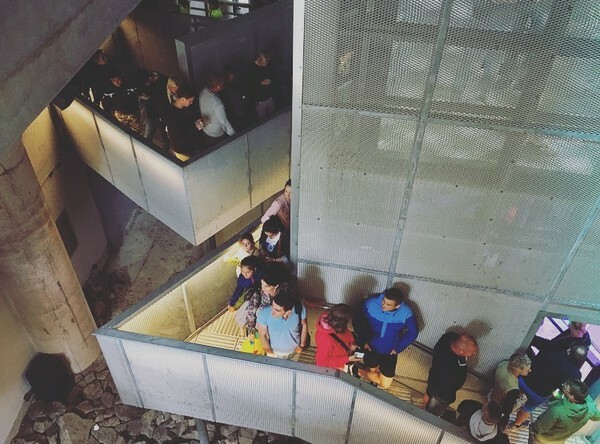 The place is swarming with attractions but it is also a fun place to explore. Many of the details on the buildings and attractions are bunny themed and all the signs are basically made for the children. A funny thing that we discovered were that all the trash cans had the word "skräp" ("trash") misspelled in different variations, as if a child had spelled it. While we were taking a stroll through the harbour district and admiring the haunted house from the outside the rain stopped and the sun came out (if only for a little while)! We headed for the churros stand by the Colorado attraction to buy some snacks. 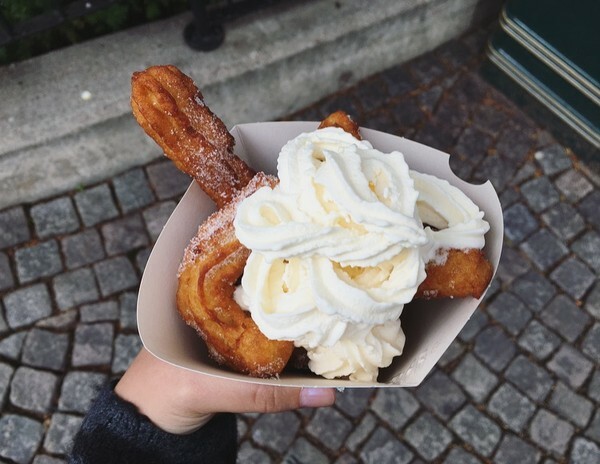 Finding churros in Gothenburg is pretty much impossible (if anyone knows where to buy them please let me know! 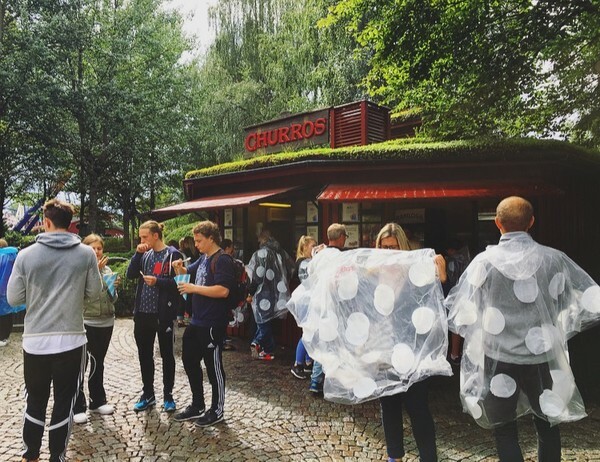 ), but you can buy churros at Liseberg. 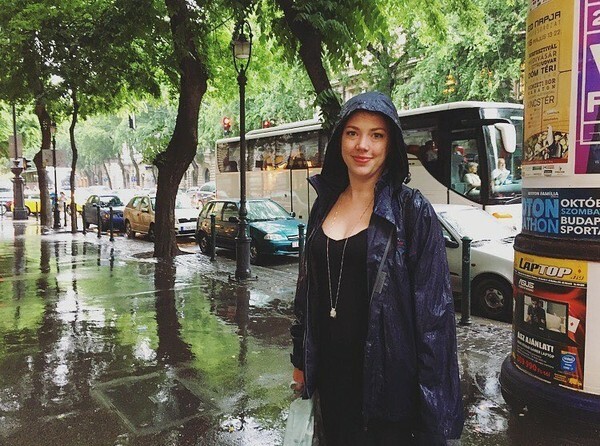 Speaking of rain, I would have prefered to have left my umbrella at home and walked around in a poncho instead. Walking around with an umbrella in a crowded park was not a very practical move on my part. Buying a poncho in the park cost only 25kr and they come in many colors. This massive portion of churros cost 40kr, and adding a topping (like ice cream or chocolate) cost an additional 6kr for each topping. I honestly could not finish this beast on my own, but it was really tasty and I recommend it if you are going to buy a snack at Liseberg. Other than churros the park offer traditional snacks like popcorn, cotton candy and hotdogs. We did not end up eating at the restaurants in the park (we were still full on churros and waffles! ), but I would still recommend The Green Room which is a vegetarian all-you-can-eat restaurant which cost 159kr for adults and 62kr for children between 2-12 years old. 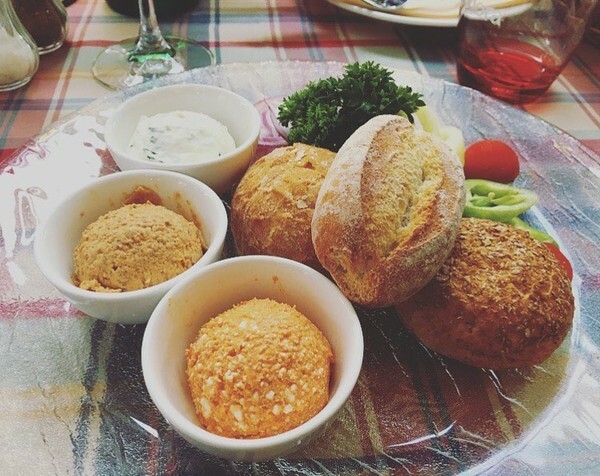 Other restaurants I have tried before and enjoyed are Trebello and Evert Taube's Café, which despite their cafeteria-feel serve huge portions of really tasty food. We could not leave the park without going on my favorite rollercoaster - Helix, however, the line was very, very long, and it was quite difficult to tell just how long it was as it goes through tunnels just like the one in the picture. Still, it was worth it and I highly recommend you try this attraction if you ever visit the park. Before going to the park I decided to try the official Liseberg app which is free but only seem to be available in Swedish. The app allows you to get an overview of the lines to all the attractions, but it turned out that the rides that had a 0-10 minute waiting line according to the app was actually 25-30 minutes. I'm not sure if the app was inaccurate despite updating often or if we simply had bad timing. Nevertheless, you can always read the estimated time at the entrance of every attraction. Liseberg is not only open during the summer. During fall and by Halloween the park is turned into a haunted place where pumpkins, twisted scarecrows and other scary decorations can be found all over the park. During winter you can get into the Christmas spirit at the park as it is turned into an amazing winter wonderland with all the trees being covered in pretty lights and the streets being turned into markets. I really wanted to document and photograph more during our stay in the park, but with the weather being bad I decided to make the best of it and save the documentation for another, less rainy day. I hope to write a more detailed guide to the park later on, because if you ever come to Gothenburg, even if just for a weekend, it's definitely worth a visit. Budapest, located in Hungary, is a gem for people who love culture, architecture and exploration. The city consist of two parts - Buda and Pest, divided by the river Danube. It's a city full of amazing activites, wonderful food and a vivid nightlife. This is a quick, practical guide for anyone dreaming about a vacation in the lovely city. 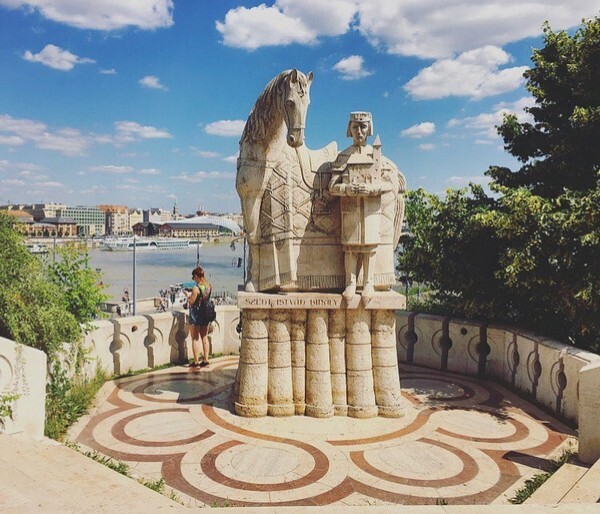 Note that Budapest is very easy to navigate as a tourist, but there are a couple of things that are good to know before you go! 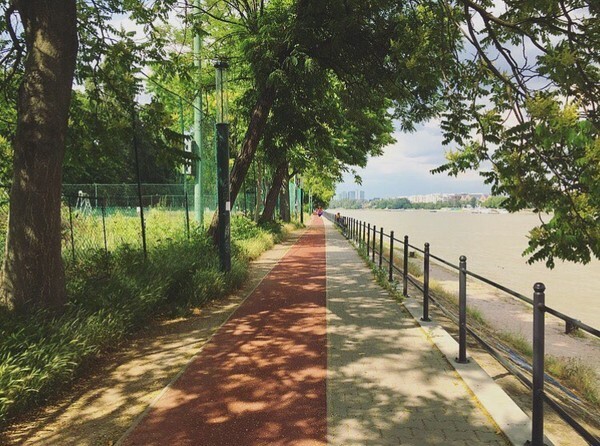 Walking along Danube on Margit Sziget, the island between Buda and Pest. Bring two pair of good walking shoes, and with "good walking shoes" I mean shoes that can withstand hours upon hours of walking. 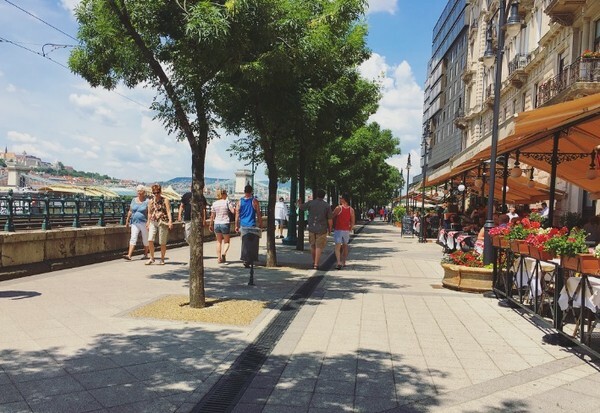 Budapest has so many things to see and if you want to make the most out of your visit, you will find yourself walking a lot. Those pretty sandals you plan on bringing on your trip won't work for very long and your feet will most likely hurt if you insist on using them for too long. Not everyone in Budapest speak english, with that being said, we had no difficulty communicating with people and we had no trouble finding someone who could help us with directions whenever we got lost. Most of the staff working in restaurants speak english and they are quite used to tourists. Most of the menus are in english showing prices in both HUF and Euros. In Hungary it's common to leave a 12% tip on close to everything from a restaurant visit to a new haircut. The currency used in Budapest is called forint and will be spelled HUF or Ft when you look at menus or pricetags. Note that most of the coins are actually worth close to nothing, so leaving what seems like a big load of money when you tip might actually not be that big after all. Big Bus has a free brochure that comes with an amazing map that I highly recommend for english speaking tourists as it is illustrated and offers a great overview of the city and the many districts. The brochure can be found all over Budapest but you can also download the map for free here. The view from our livingroom window at Izabella utca. 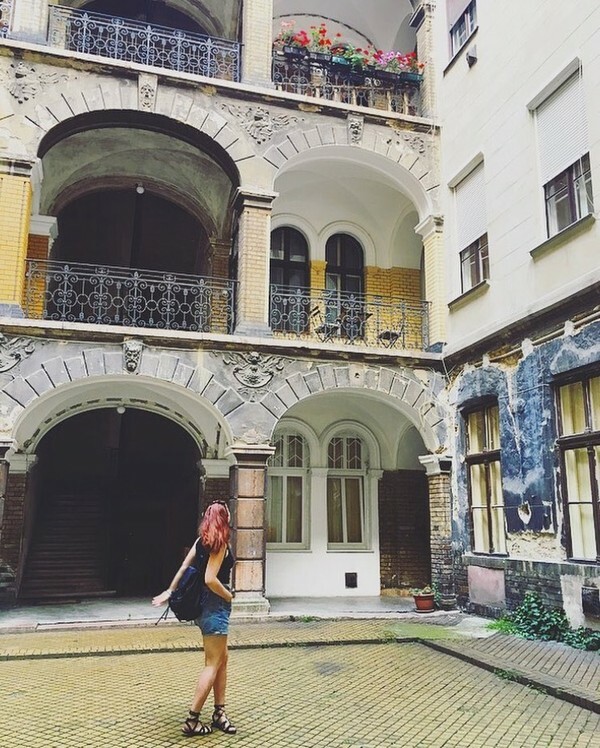 Hotels are cheap in Budapest, but I wouldn't know what it's like to stay in one because I've gone for the cheaper alternative - apartments on Airbnb - and I'm so glad that I did! On my last trip I found a beautiful apartment located within the city center, twice the size of my own apartment, with a balcony, dishwasher, washing machine and much more for $315 a week. Forget about taking expensive taxis and navigating the metro! As you arrive at the Hungarian airport, the first thing you will see is the Airport Shuttle service where you can book your transportation from and back to the airport for a total of 40$ for 2 people. It's very comfortable, easy and you don't have to worry about finding your way. Just remember to book your shuttle back to the airport prior to 24 hours before leaving. 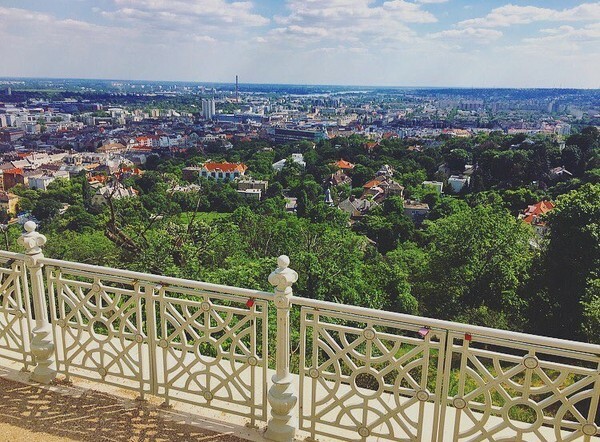 Gellért Hill has a stunning view of both Pest and Buda. 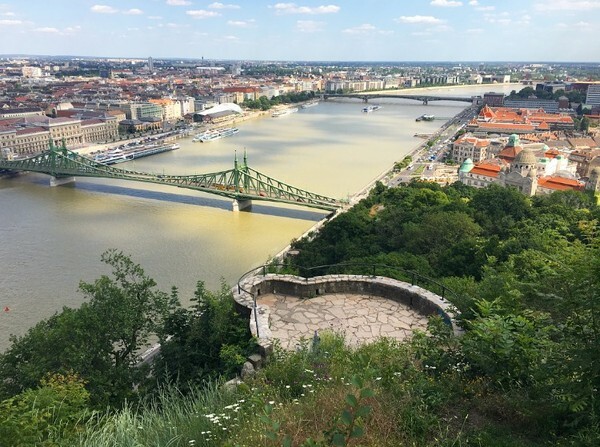 Lets assume that you are thinking about booking a room at a hotel or browsing the many apartments in Budapest on Airbnb, but you are wondering which side of the river you should choose when booking. To put things simple: Most of the things that you might want to explore; The Central Market Hall, the many restaurants and the nightlife, the museums and more are located on the Pest side, with the castle district and Gellért Hill and Gellért bath within walking distance just across the bridge. 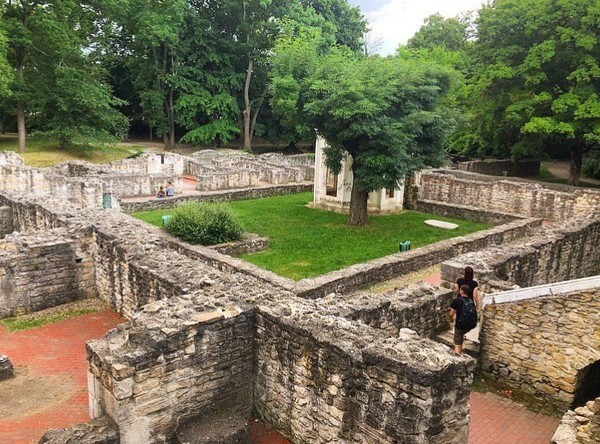 I have not had the chance to fully explore Buda on my own visits, but while planning my trips and asking for advice from people who have lived in Budapest or stayed there longer than I have, most people tend to recommend Pest as the best location. Walking along Danube on a sunny afternoon. 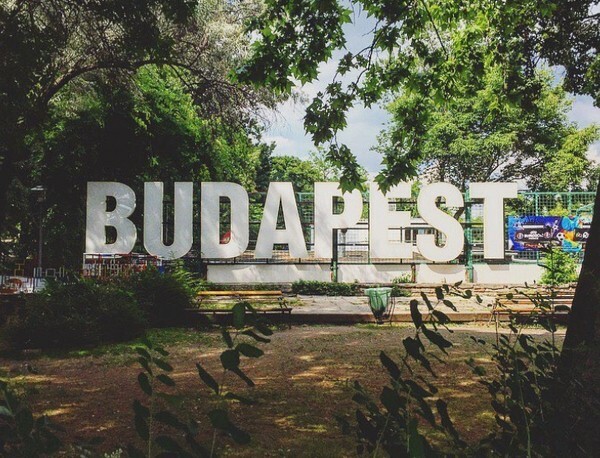 During my first trip to Budapest I went in April, and on my second trip I went in early June, both months provided great weather and very high temperatures. I have been adviced not to travel to Budapest during high summer, as it is already extremely hot in June. Going between April and June should be just perfect if you enjoy exploring and you want to move around without overheating. 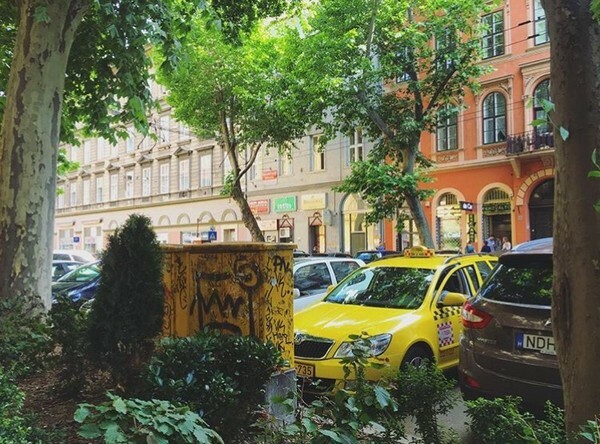 Váci Street (or Váci utca) is the most touristy street in Budapest and if you ever go there you will understand why it's wise to avoid it. The street is crowded with overpriced souvenirs and desperate restaurants trying their best to reach out to tourists. You can find more authentic souvenires, better food and a more comfortable atmosphere elsewhere. 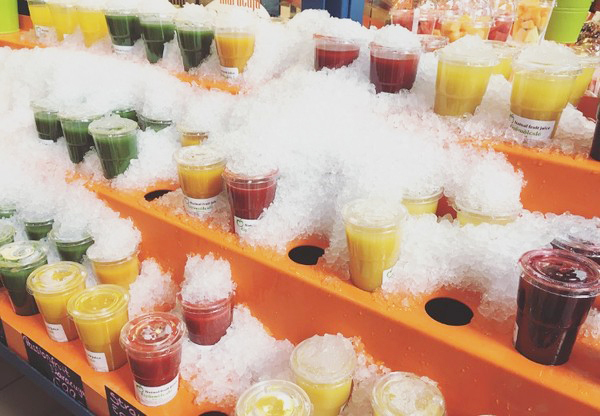 Fresh juice at The Central Market Hall. It might seem like an obvious thing, but it's really easy to forget to drink when you are busy having fun. A bottle of water cost close to nothing in Budapest (somewhere inbetween 200-300ft). Have a bottle or two in your backpack, and remember to refill them as often as you can. 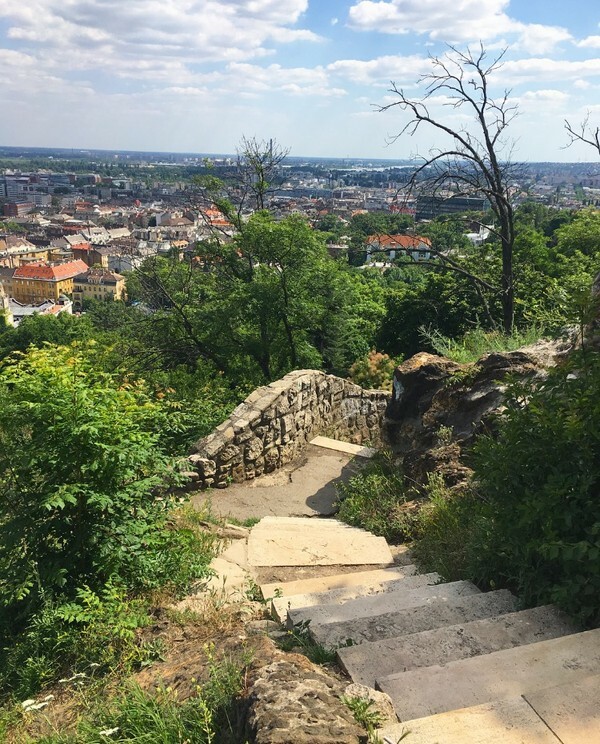 During my first trip we forgot to drink before heading to the top of Gellért Hill and everyone in my group got seriously ill from overheating. Last but not least, you might be wondering what a trip to Budapest could cost. Here you have my expenses for a one week vacation in the city. Note that while I might avoid expensive hotels and other luxuries, we never denied ourselves anything we craved during the trip and the money we brought on our trip was more than enough (and we went out to eat three times a day). I hope you enjoyed this guide! 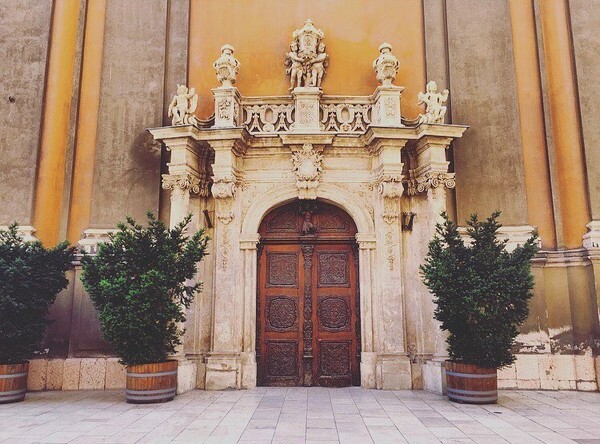 Click here to read about my last trip to Budapest. If you have any other questions about Budapest please leave a comment below. I have become somewhat of a master at making the most out of nothing - I'm currently a student and I don't have a lot of money, but I have found ways to make that money turn into great stuff - such as travel. First you must know that while I have a lot of hacks, I also actively choose not to spend a lot of money on things that other people might not want to give up, such as eating certain foods, going out with friends on a regular basis, living in a spacious apartment, and only you can decide and know your limits and possibilities. 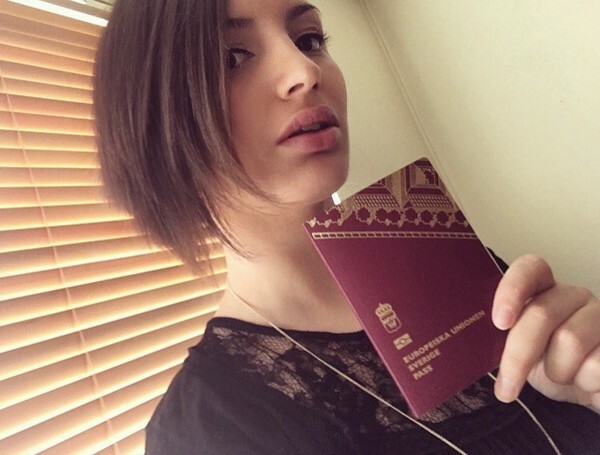 This is a guide based on how I save money for my adventures, and maybe some of my hacks can help you too! 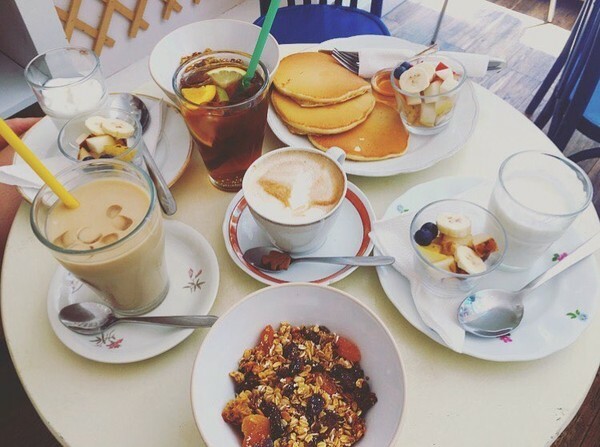 Sit down and make a monthly budget stretching from now up until your trip. This means that you have to know exactly how you spend on bills every month, exactly how much you are willing to spend on food on a weekly basis and how much money you will be able to put away into your savings account. Also make a post for other expenses such as dentist appointments or buying those new shoes that you really need. This way you can calculate exactly how much you will be able to save up until your trip and what changes you might need to make in order to do so. Shop groceries once a week and plan your meals. I don't know about you, but I tend to spend more by going to the grocery store more than once a week, and when I don't plan on what to buy, I tend to buy a whole lot of stuff without any thought. Instead I plan what I'm going to buy, I only go to the store once or twice a week and I save the receipts so that I know exactly how much I spend on what. I also write all those numbers down in a document - for example, I live close to two grocery stores and I know how differently they both charge for the same toilet paper, and I know exactly what amount. This will obviously help me plan what to buy and where. I also make lunch and dinner for the entire week - doing this will save you money and time. Keep a separate account for savings so that you don't confuse them with spending money. I tend to pay my bills as soon as I recieve my money, then I put away the remaining amount to my separate savings account, while transfering my weekly amount for groceries to my actual account on a weekly basis (I do this using an app created by my bank, many banks have one and they are easy to use.). This keeps me from overspending, while being more aware of how much I spend in general. Cut down on the crap - like fastfood, sugary and alcoholic beverages, cigarettes etc and transfer the money that were supposed to fuel your bad habits into your savings account instead. Your body and soul will thank you! Cut down on impulsive shopping or quit shopping completely for a while. I've never been a big spender, but I have been an impulsive shopper from time to time, like most people, and looking back at it now I do realise what I deny myself by spending money on shopping - the very same money could have added a day or two to a fantastic vacation or helped me create an unforgettable memory with my friends. I do have a rule for spending money on shopping these days, which helps, and that is that I can only purchase experience based items such as books or videogames. Then again, this is something personal that works for me, you will have to find a system that works for you. I tend to remind myself that if my apartment burned down I would lose all the stuff that I've been hoarding over the years, but the memories I make will survive. Save money by walking everywhere, if possible. Taking the bus or car when you don't have to is not ideal when it comes to saving money. By walking, you will get free exercise, help the envorinment and save money. Listen to a podcast, some great music or an audiobook to help you find motivation. Downgrade to a smaller apartment. I probably live in one of the cheapest apartments in my city - it's a tiny, one room apartment without a kitchen and I can practically reach my fridge from the couch and crawl over into the couch from my bed. We are also two who live here, sharing the rent, which also makes it much cheaper. I love living this way and it doesn't drive me insane, which helps, but I do understand that it's not for everyone. Still, I would advice you to ask yourself what you think is important (for you personally) when it comes to the space you live in - do you need to fit a dinnertable in your home, or are you content with having pizza in bed? Don't be afraid to set goals! The goals can be anything you want them to be, like saving a certain amount will grant you an extra day on your vacation, or trying an exciting activity that you have never tried before. Imagine what you would want to do on your trip and write a list - the more money you save, the more amazing things you will be able to do on the list. I went to Budapest for the first time in 2015 and I knew close to nothing about the beautiful city as I booked my ticket. It's safe to say that it didn't take long before I fell in love with the city - the mesmerizing architecture, the amazing food and the atmosphere really had me hooked! I decided to head back, and as soon as I had persuaded my friend Sarah into joining me, we booked our tickets and went back in 2016. We went on the 6th of June, which is the national day of Sweden. Little did we know that during the holiday none of the early busses or trams were running and our trip ended up having a little bit of a slow start. Nevertheless, the plane ride went smooth and upon arriving at the Budapest airport we booked an airport shuttle (a great decision) for $40 (back and forth) and enjoyed the comfort of not having to find our way by bus or train. 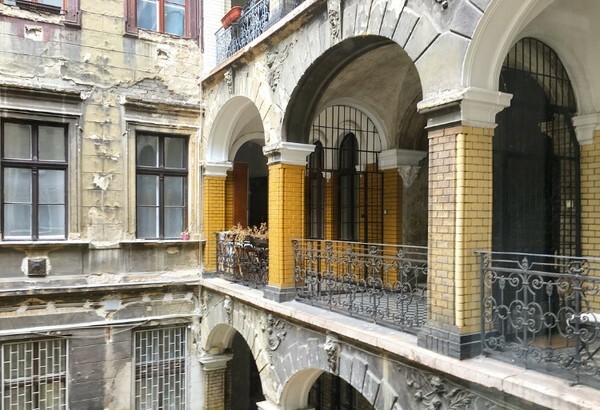 We had booked an amazing apartment through Airbnb on Izabella Utca, a street located within the city center. The apartment was not only comfortable and charming, we got it for the great price of $315/week including cleaning fees. You can see Sarah admiring our balcony up there. I did not miss my own apartment one bit! Feeling tired after the flight we decided to recharge our batteries at furball heaven Cat Café Budapest. 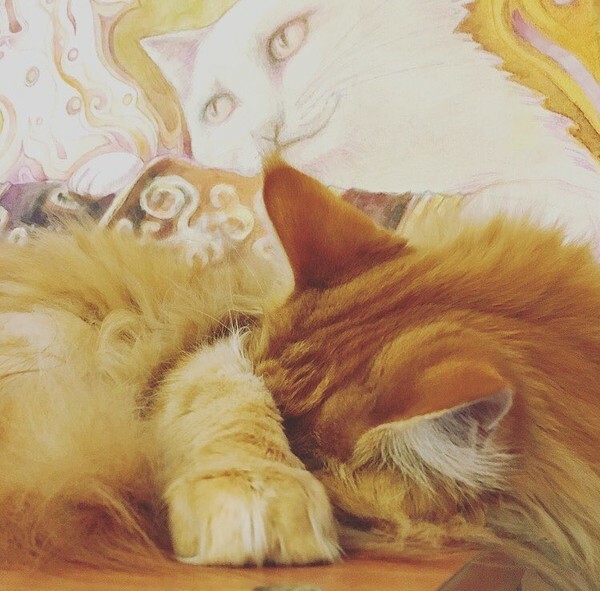 The café is located in the heart of the city in a building with two floors where lazy cats snuggle in every corner and if you are lucky - in your lap. The staff is really friendly and will greet you as you arrive and inform you about the rules on how to approach the cats. It's a great place to unwind and have a cooling beverage. The rest of the day we walked around the neighborhood exploring Andrássy út, which is a boulevard in Budapest where you'll find The House of Terror (which we would later visit but not document out of respect), the Opera House, restaurants, shops, bars and more. 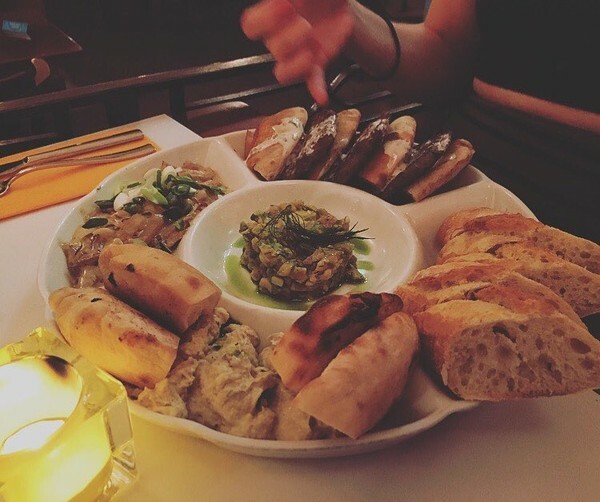 We had dinner at Pesti Disznó, a cosy restaurant that serve seasonal dishes with high quality ingredients, but by the time we had finished our meals we were so tired that we decided to head back to the apartment for a good night's sleep. 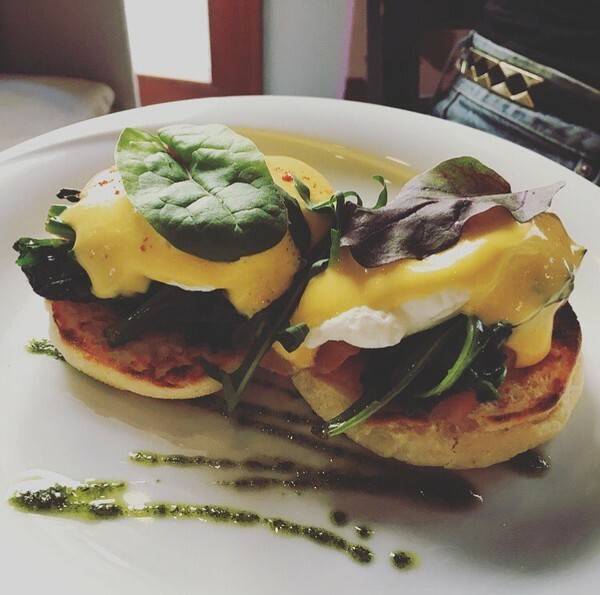 We began the next day with a luxurious breakfast at Zoska breakfast café, located close to the Hungarian National Museum (which we would later visit) and the Great Synagogue which is the largest in Europe. 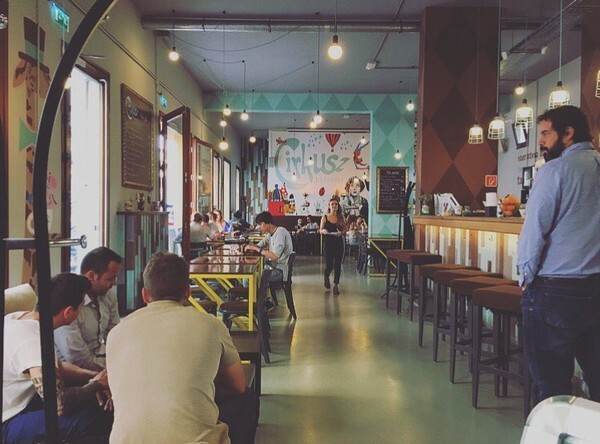 As we returned to Zoska a couple of days later (and earlier than the last time), we came to understand why we had seen so many mixed reviews of the café. The place was crowded with costumers, and the staff had a hard time keeping track of the orders. Nevertheless, we left Zoska feeling full and happy as we headed to The Central Market Hall. 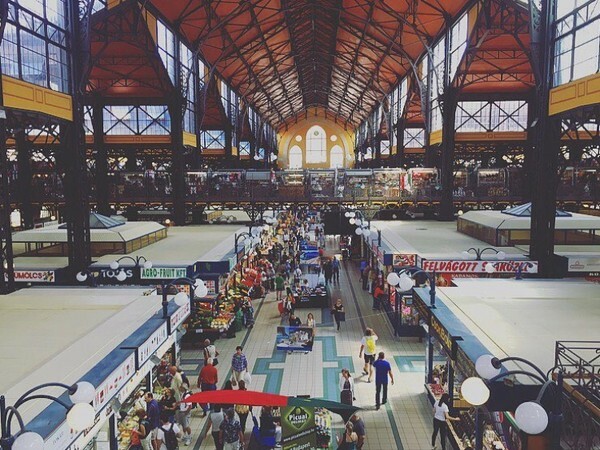 The Central Market Hall is popular among turists and locals, and it's easy to see why. On the first floor you'll find vegetables, fruit, meat, pastries, liquor and more, all for a great price, on the second floor however you will find a slightly overcrowded, turisty area packed with souvenirs. Me and Sarah bought cherries, strawberries, pastries and juice to bring on our picnic on Gellért Hill. After crossing the bridge over to the Buda side of the river, we spontaniously stopped by The Cave Church located beneath Gellért Hill (next to the famous Gellért Bath). It's one of the most interesting churches I have ever seen and the staff were kind and helpful. Sadly my headset broke during the tour but I still really enjoyed it. Located at the top of Gellért Hill is The Statue of Liberty and the hill offers an amazing view of both Pest and Buda (pictured). During our trip we never got the chance to explore Buda, but seeing this view made me realise how much there is left to explore. We felt like total bosses for conquering the hill. 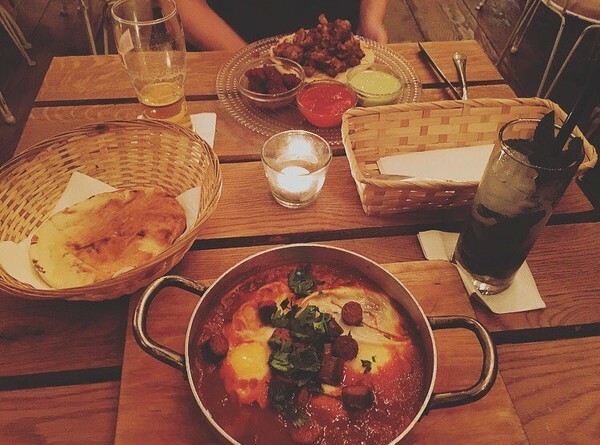 Later that evening we decided to visit Mazel Tov, a restaurant located in the jewish quarter that became my favorite. If you ever go to Budapest and want to give it a try I would recommend that you make a reservation as the restaurant is really popular, (it's worth it). After dinner we went on to explore the jewish quarter and the ruin pubs (but more about them later) before heading back to the apartment to get some sleep. The next morning we discovered Cirkusz, a restaurant that would turn out the be our favorite breakfast spot during the trip, as we returned many times. The staff really made our stay special, the food tasted wonderful and having mimosas in the morning is hard to beat. Across the street from The Central Market Hall we found Amber's French Bakery. 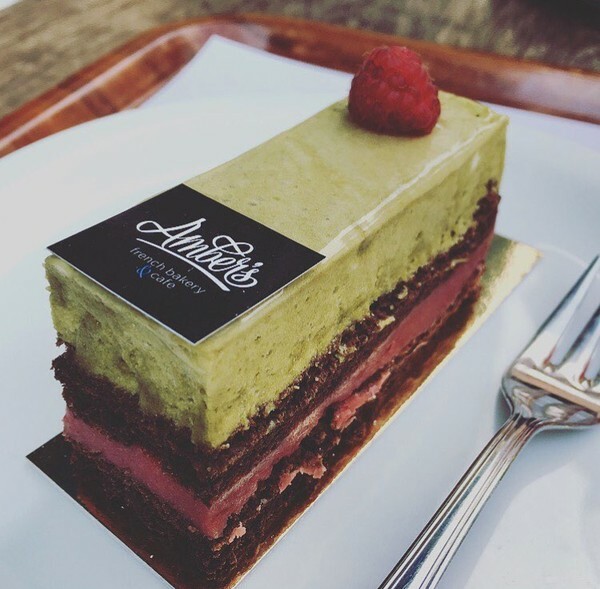 We decided to get ourselves some sugary treats and my pastry with pistachio and raspberry was delicious! We walked past The Heroes' Square and The City Park to Vajdahunyad Castle, which was built in 1896 as part of the Millennial Exhibition. The castle contain parts of buildings from different time periods, which makes it interesting eye candy if you are into architecture (like me). 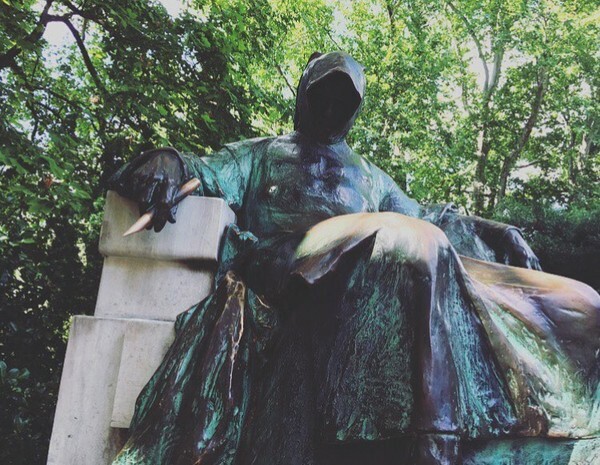 By the castle we also found the beautiful statue "Anonymous" before heading to Széchenyi Thermal Bath. 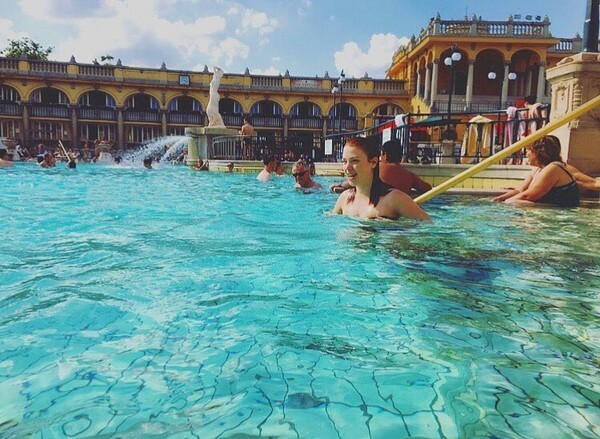 Széchenyi Thermal Bath is one of the largest medicinal baths in Europe and was built in 1913. Spending time at the bath recovering after long, intense walks really does wonders and I highly recommend it. A full day at the bath with a locker cost about 4.700ft, which is about $16. 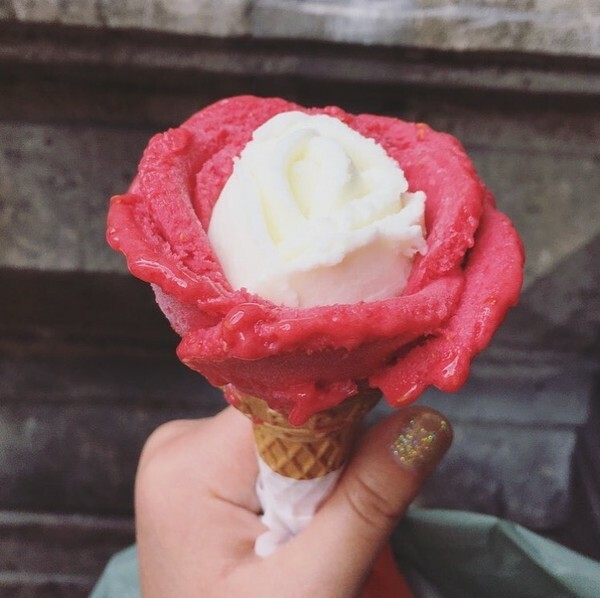 Gelarto Rosa, located next to St. Stephen's Basilica, is were we got these amazing ice cream roses with fun flavors. Sarah purchased olive oil flavored ice cream and to my surprise it tasted amazing. Two scoops cost 500ft, which is about $2. Be prepared to stand in line for this tasty treat, as the shop is really popular. Before going on our trip our weather apps had forcasted that it was going to rain the entire week, but we were happy that we only got a couple of hours of heavy rain in the heat as we walked up and down Andrássy út. We had tapas (and amazing lemonade) at mediterranean restaurant Két Szerecsen. 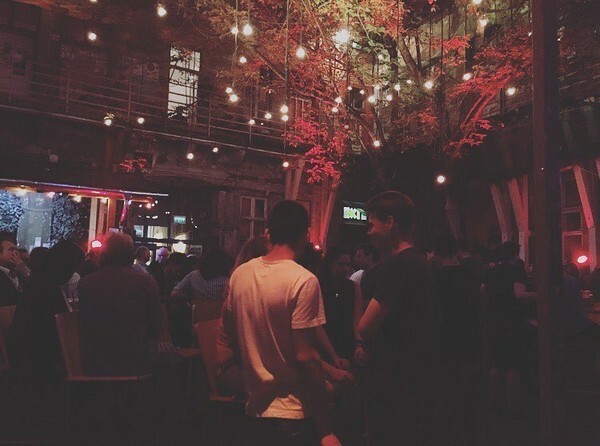 Budapest is famous for their ruin bars (or ruin pubs) which are located in old buildings, decorated in colorful, playful and creative ways. 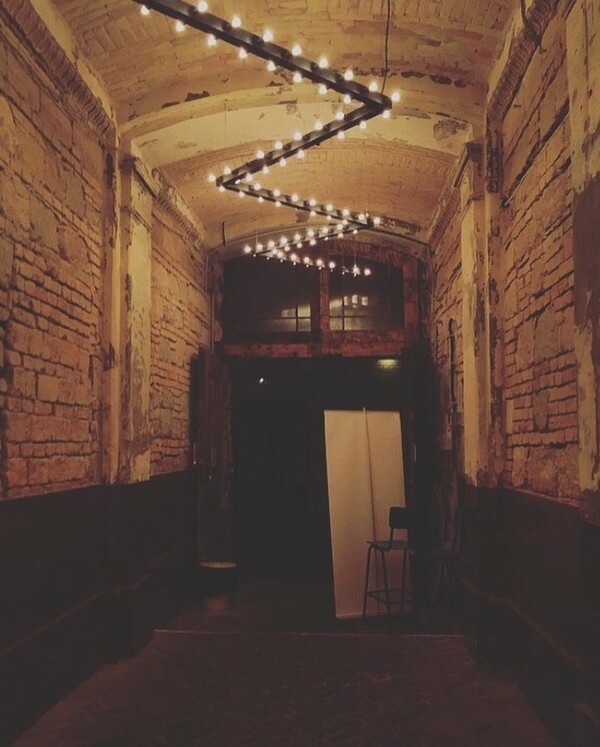 Exploring the many rooms of the ruin bars is an activity in itself, but it's also a great place for meeting new people and having a great time. 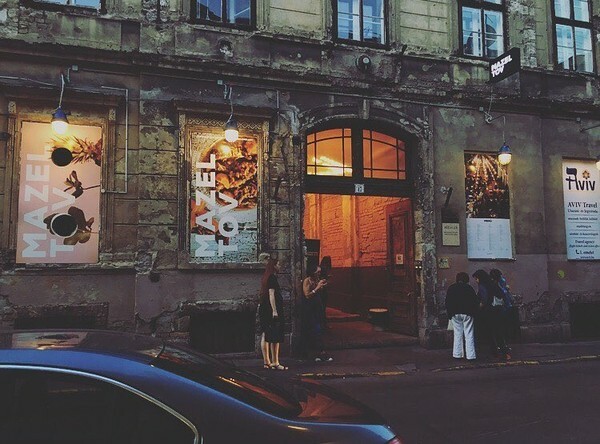 Our favorite bar was Fogasház ("House of Teeth"), named after the old sign advertising dental repair that was found during the first renovation of the building. The many rooms and Dj's had us dancing all night long and we got to meet people from many parts of the world. Even during the rain the place was crowded, despite most of Fogasház being outdoors. 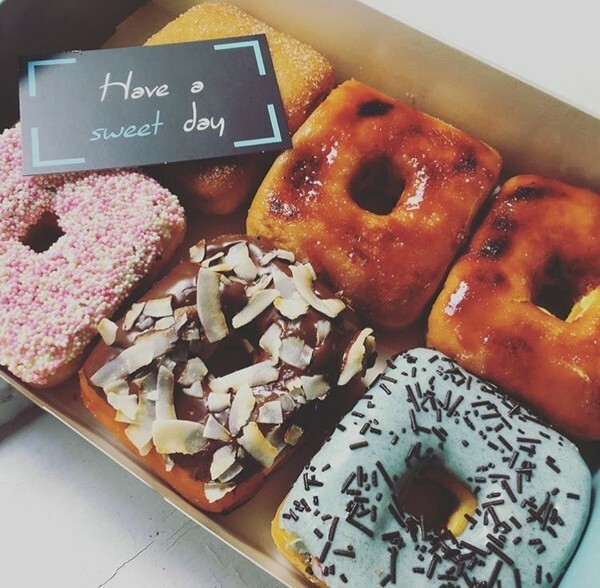 Close to the Central Station we found a quirky shop called The Box Donut, which sell fun donuts in many different flavors, all shaped like squares. They also sell bottles of flavored water containing fresh fruit that was really good. Unfortunately my camera gave up as we arrived at Margit Sziget, an island between Pest and Buda. Spending an entire day there was amazing. We explored the ruins, rented a tiny car and drove around, watched the musical fountain and went to the zoo after taking a long walk around the island. 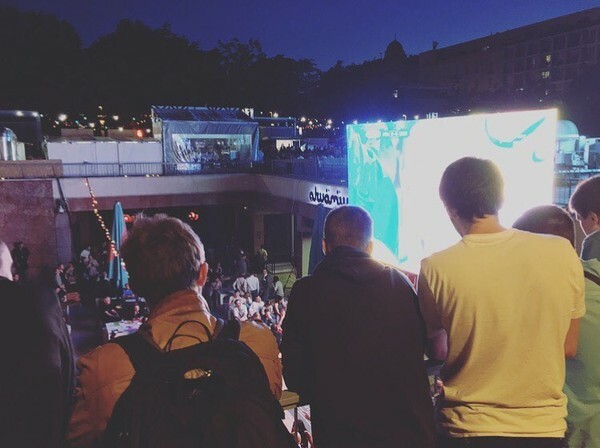 On our way back we took a break to watch soccer at Erzsébet Square, located in the center of the city. The square is a very vibrant part of the city and a great place to meet people. 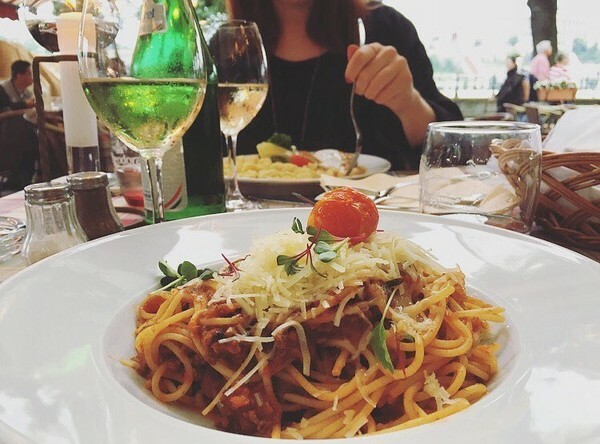 On our last night in Budapest we decided to treat ourselves at Dunacorso, a restaurant romantically located by the river Danube on the Pest side. Despite it being quite expensive, the restaurant was crowded with tourists because of it's fantastic location. And much like the other tourists, we couldn't help being mesmerized by the view of the river while eating comfort food in candle light. 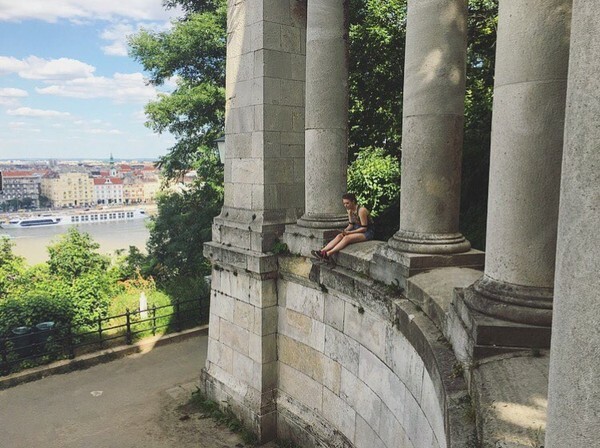 We stayed for a week in Budapest and everyday was a busy day full of adventure and exploration. It wasn't my first trip to the city and I'm certain that it won't be my last. I hope you enjoyed this travel post!